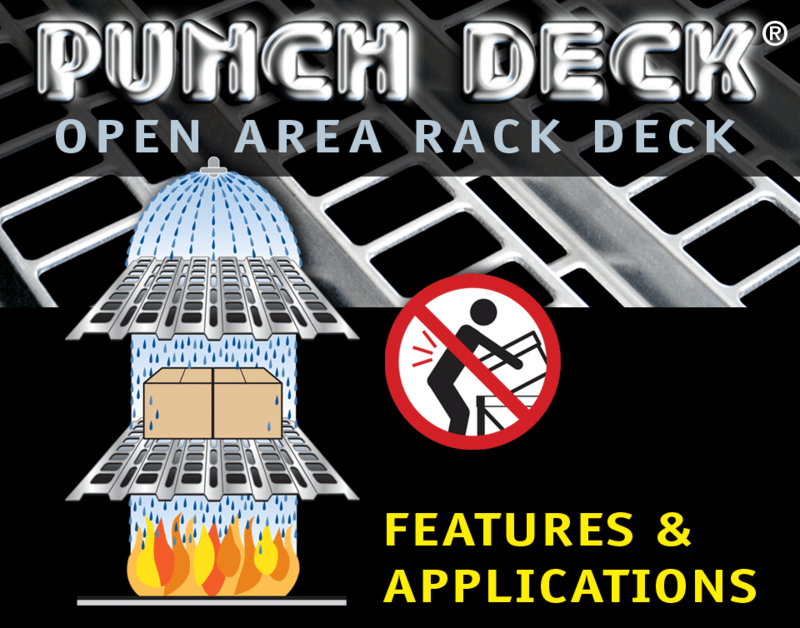 Fire Protection: Large openings in Punch Deck's surface allow sprinkler water throught to lower levels. Uniform Strength: Across entire shelf surface. 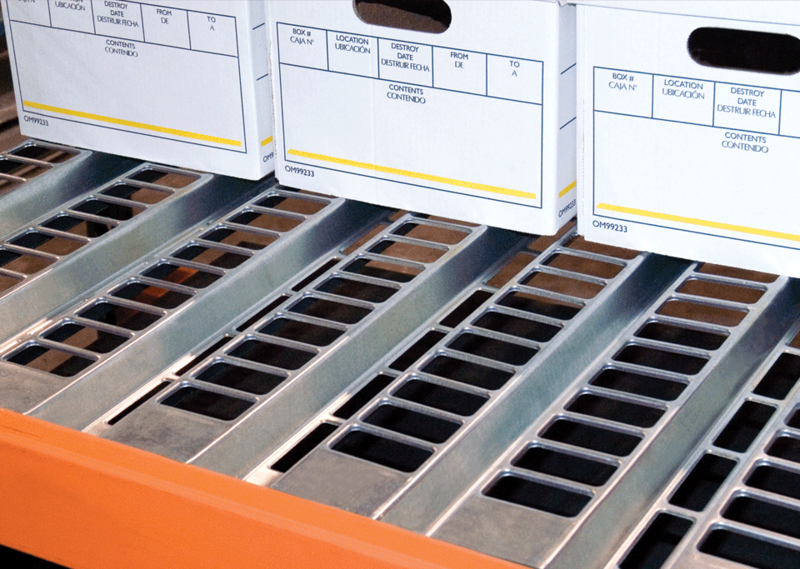 Extra Secure: Punch Deck fastens into rack with tek screws. 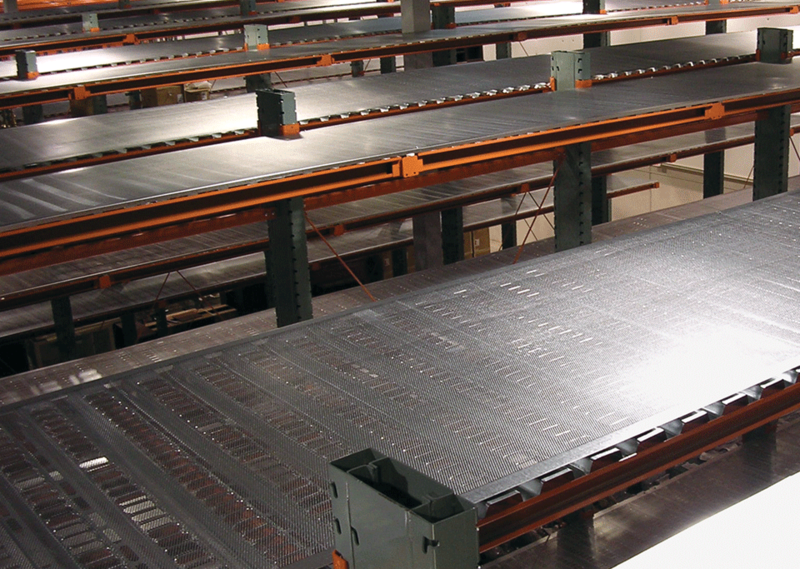 Freight Savings: Up to 3 times more square footage of Punch Deck can be shipped on a single truck than most other deck products.